Most snowflakes are 6-pointed, but this snowflake is extra-special - it had i points! 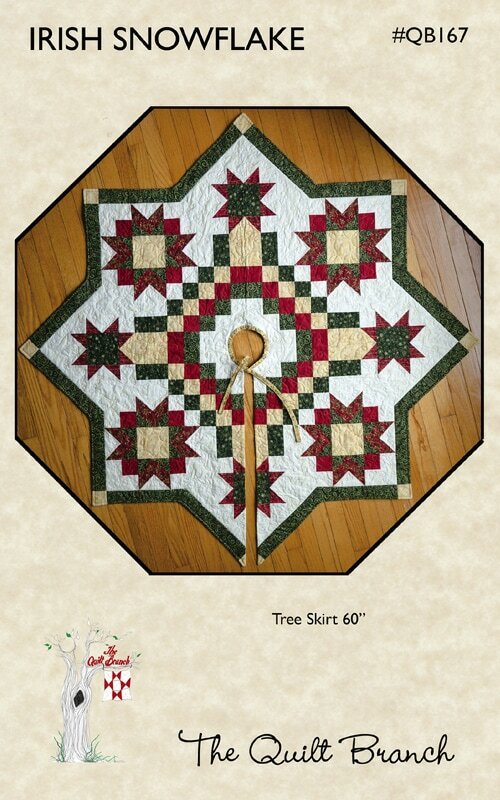 Large and small stars with a colorful chain of squares make up this 60" tree skirt. It is large enough that the design is visible even under the biggest tree and stash of presents!